ーー Well then, without further ado, tell us who's at 6th place. Yanagawa　Funaki Musubu-chan. 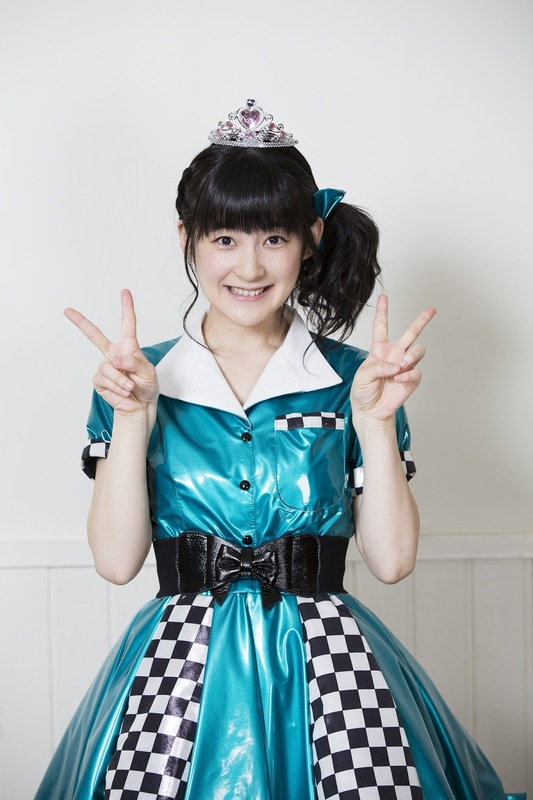 To elaborate, Musubu-chan is a carefree person who really goes at her own pace, so I think of her as being my cute little sister, rather than someone I'd consult when I'm worried about something. Instead, I'd rather she come to me for advice. I'd like to be an oneesan in front of Musubu-chan. Funaki　I'm really bad when it comes to giving advice... Even when people come to me for advice, I can't recall anyone giving 'Words of gratitude to Funaki-san'. ーー What do you mean by 'Words of gratitude to Funaki-san'? Funaki　Even if someone asks me for advice, the only thing I can say is 'It'll be fine!' I often ask Nanami-chan why she's so level-headed. I think it's because she reads books. She can always explain her reasons, so I'd like to get advice from her! ーー I see (laughs). Well then, 5th place? Yanagawa　Morito Chisaki-san. For Morito-san, if I consult her about something I'm worrying about, she'll go 'Ummm....' and worry about it even more than I will. She'd continue to brood over it... And then, that would make me feel worse instead. (laughs) So, Morito-san's 5th. Yanagawa　That's the type of person that I think Morito-san is. 4th place is Ozeki Mai-san. She's a positive thinker no matter what happens, so if I were to consult with her, rather than giving me a solution to my problem, I feel like she'll just tell me that things'll be fine. Yanagawa　Yes. But, there's also the fact that Ozeki-san is the same age as me, so it might be easier to go to her for advice. Yanagawa　That'd be Yamaki Risa-san. She's really intelligent, and while I obviously can consult her about studies, I think that she's also someone who can guide me towards solutions for problems related to my daily life. So I feel that I'd get sound advice from her. ーー Indeed, it feels like she would be very instructive. Yanagawa　And that's why I can discuss anything with her, but I'd particularly like to ask her how to study in order to get good marks. And next in 2nd place, Inaba Manaka-san. I feel that Inaba-san is an extremely warm person. If I were to go to her for advice, I feel that she'd cuddle me full of tenderness. She'd gently give me advice, telling me that things'll be fine even if I go through it in my own way. ーー It feels like she's broad-minded. Yanagawa　Like Ozeki-san, she wouldn't come up with a solution to my problems, she'd just tell me that things'll be fine. But while Ozeki-san would try to lift my spirits and tell me 'Cheer up! ', Inaba-san would envelop me in her embrace…（laughs）. ーー You've announced the rest so far, and now a single person remains! … And with that, at the glorious 1st place is…!!!? Yanagawa　Momochi-senpai turned 24 this year, so she isn't just a senpai to me as an idol, but also in life. So I'm sure that whatever problems I have, Momochi-senpai would use her experience to give me a concrete answer, like 'At times like those, this is what I used to do in the past. How about you try something like that now?'! Tsugunaga　Nanamin, you keep saying the same things twice, so I think that it would be better if you wrap things up at the first half.